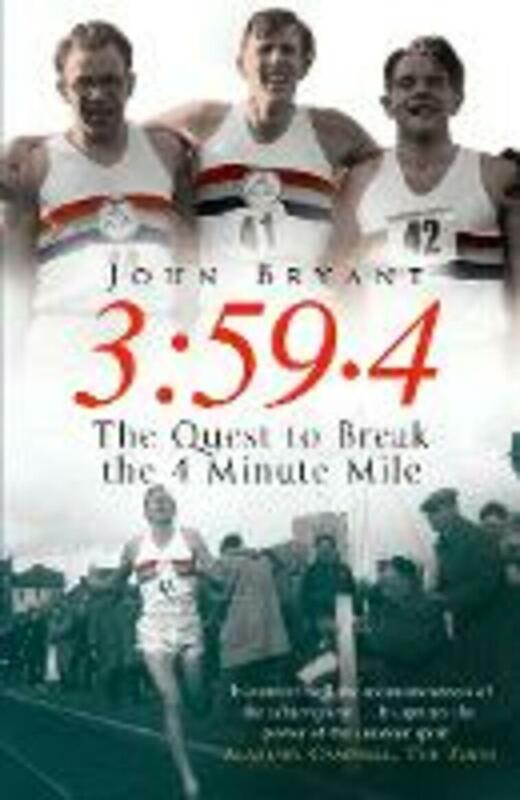 The years 1953-4 were marked by the conquests of two unattainable peaks - Mount Everest and the Four Minute Mile. But the dream of setting a new track record for this distance started as early as the 1880s, by the American Lon Myers, a stick-thin hypochondriac who was sick before and after every race, yet still held every US record from 50 yards to the mile. By 1902 a record of 4 minutes and 16 seconds was set by the Englishman Joe Binks, an amateur runner who in his spare time worked as a journalist and writer. And again in 1923 the world inched ever closer to the elusive four minute record thanks to Paavo Nurmi, the 'Phantom Finn', who won nine Olympic gold medals and set so many world records that statisticians are still arguing over the total. Finally, in 1945, when the Swede Gunder 'the Wonder' Haegg ran the mile in 4 minutes and 1.4 seconds the world knew at last that it was on the brink of conquering the Everest of all sports. But it wasn't until three Englishmen teamed up and took on the challenge as one that they succeeded in accomplishing what was described as the most significant sporting achievement of the twentieth century: running the Four Minute Mile. This is the story of the long quest for the 'Magic Mile', almost two hundred years in the making. The methods the runners used and the secrets they uncovered were passed like a baton through the generations, until the quest reached its climax on the 6 May 1954, when Roger Bannister, Christopher Chataway and Chris Brasher united to achieve the impossible.